7:45 - 8:30 Our guide will meet you at your hotel. The shuttle bus or private car pick up. Enjoy the peaceful scenery as we travel through the countryside, farmlands and Red River delta. 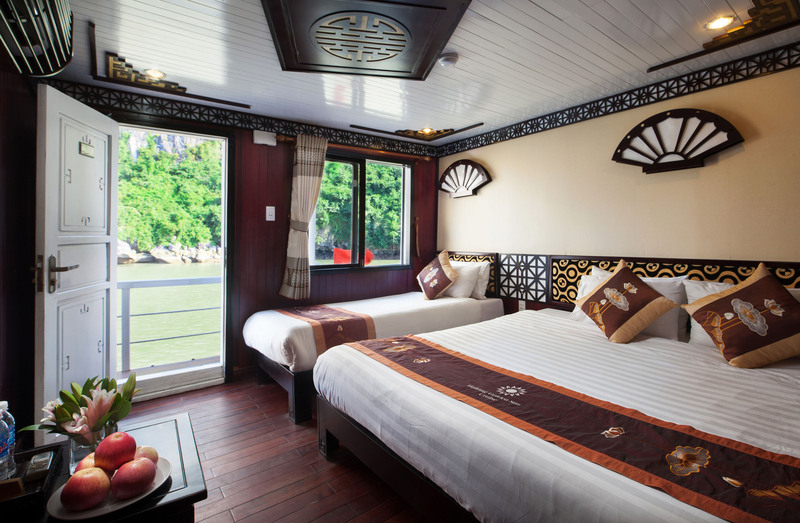 12:00 - 12:30 Arriving Tuan Chau Marina .Welcome aboard the cruise . 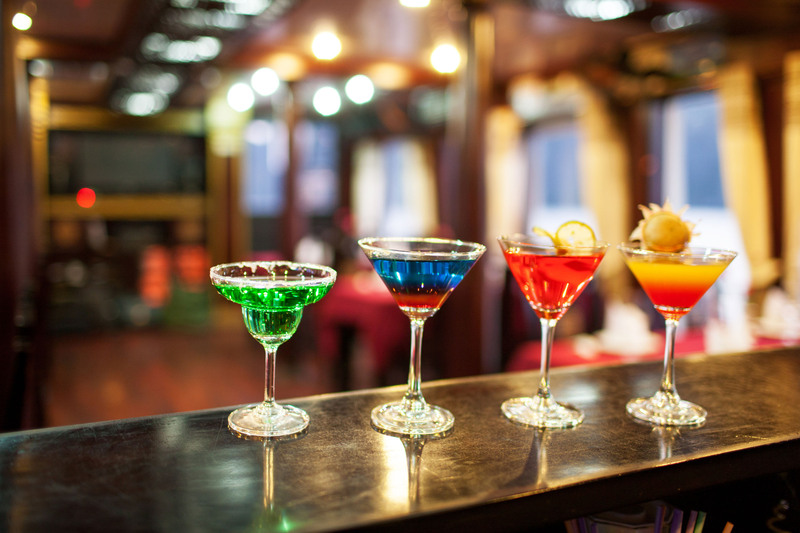 Meet the captain , crew and join us for welcome drink as we tell you about life onboard. 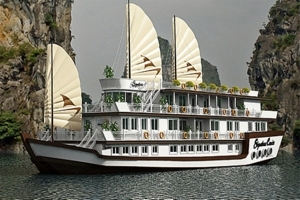 Explore the Surprising Cave - the most beautiful cave in Ha long Bay. 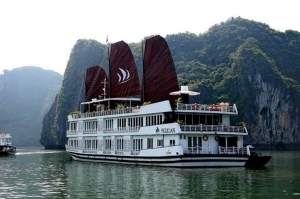 It is one of the widest grottoes in Ha Long Bay with thousands of stalactites and stalagmites. 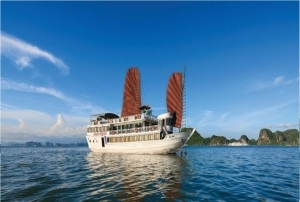 Back to the APRICOT Cruise, We will take you to visit the Titop Island - swimming Climbing up to the Top of the Island – take the best view of Halong Bay in the Summer time or visit a floating Pearl Farm Village and learn the technique for making high quality pearls in the Winter time . DO KAYAKING in Hang Luon and and around the bay. Join in the Cooking Class , teaching you how to make our specifically (Spring rolls) before an early lunch is served . 11: 30 - 12:00 Disembark at the harbor, Tuan Chau Marina. 16:30 Arrival back at your hotel and tour finish! NOTE: Cruise itinerary and schedule are subject to change due to weather, tide levels and operating conditions. Swimming or kayaking excursions may be cancelled due to poor weather. 08:00 Our guide and bus will be pick you up at your hotel. Enjoy the peaceful scenery as we travel through the countryside, farmlands and Red River delta. 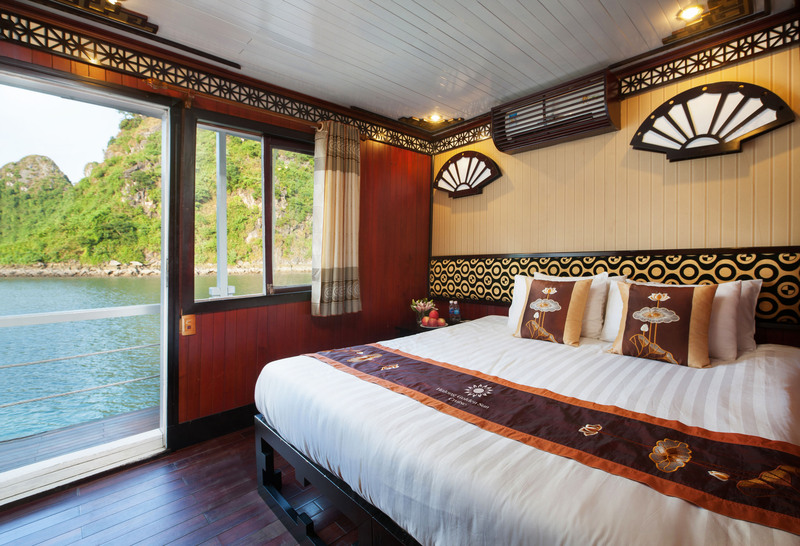 12:00 - 12:30 Arriving Tuan Chau Marina .Welcome aboard the cruise. 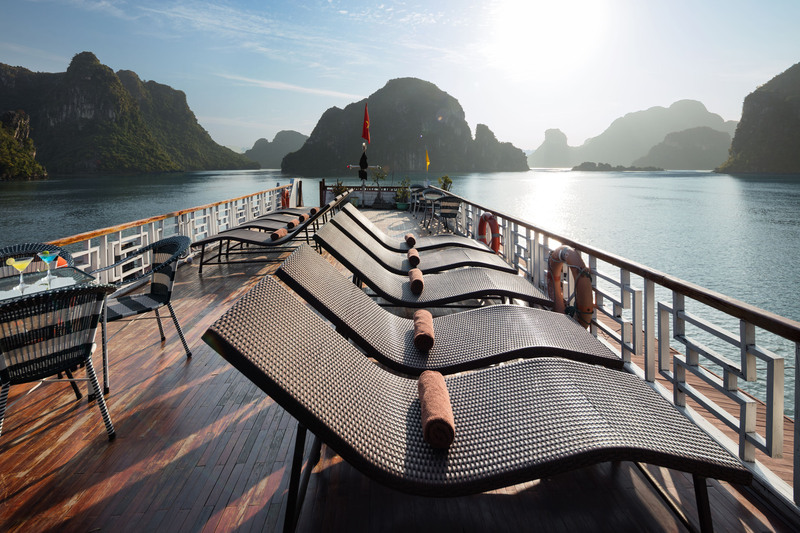 Meet the captain, crew and join us for welcome drink as we tell you about life onboard. 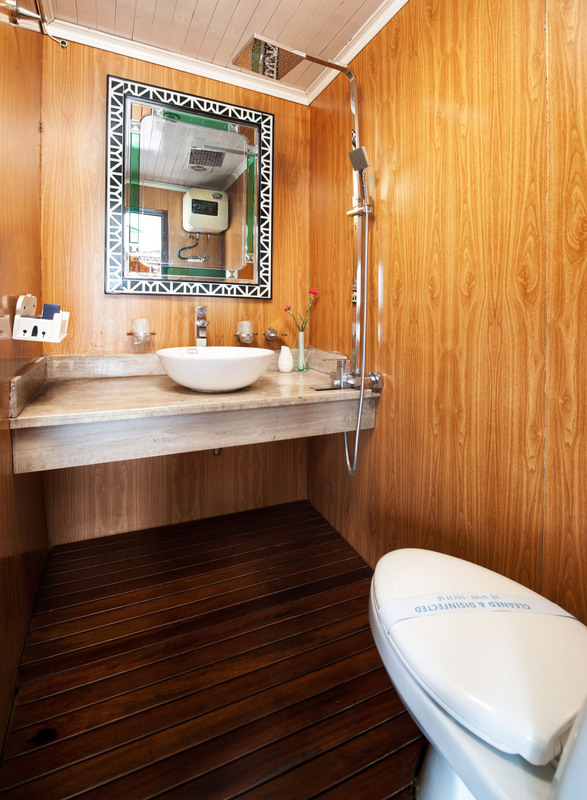 Overnight on board: Clean air - conditioned rooms with private washroom. 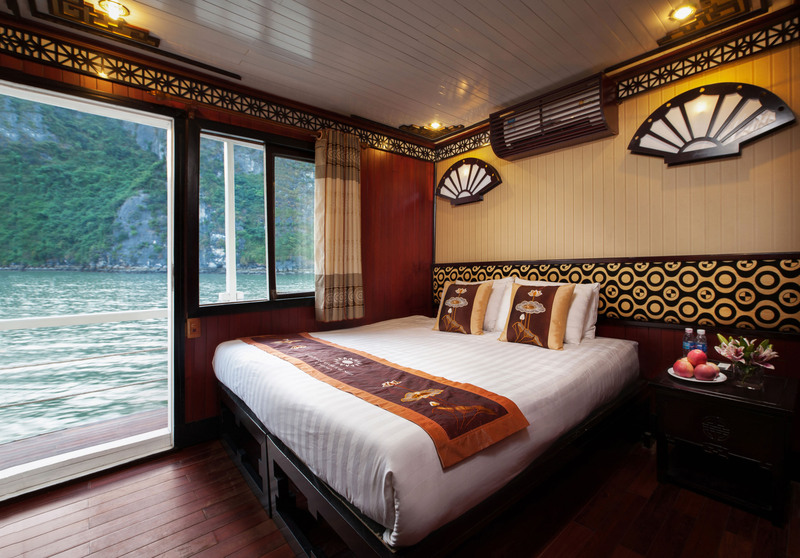 07:00 Breakfast, coffee and tea and served while cruising ahead to Lan Ha Bay. 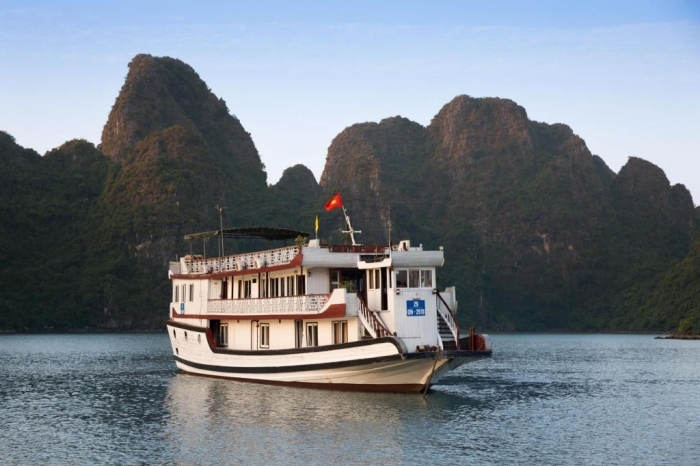 8: 30 Transfer to smaller boat to explore Halong Bay. Take part in the activity with the fisher man and stay with them to explore the life style of local people. 12:00: You can swimming on the beach as well. And Lunch is served on boat. 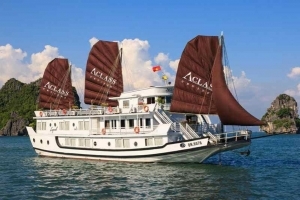 Visit a floating Pearl Farm Village and learn the technique for making high quality pearls. Dinner is served. 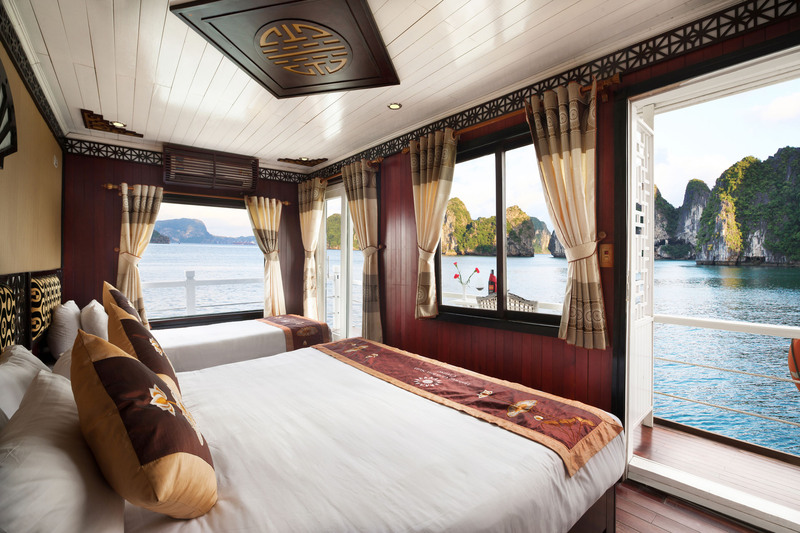 Socialize with other guests, sing karaoke together, fish for squid, or just laze around. Bags can be left in luggage store . 11:30 - 12:00 Disembark at the harbor, Tuan Chau Marina.